Why Did Not The Muslims Attack? The question as to why the Muslims did not retaliate by attacking Sinhala houses or business premises requires an explanation. I have to distinguish here between a practising Muslim and a non-practising Muslim. The majority are generally, practising Muslims. In fact, the only religion in the world which has the largest number of practising followers is Islam. Anyway, we have our quota of black sheep like in any other community. A realistic comparison would be the Sinhalese racists who perpetrated the recent violence. They do not represent the majority of the respectable Sinhalese people. In fact, their criminal behaviour has embarrassed many Sinhalese people who feel ashamed. “O you who believe! Stand out firmly for Allah and be just witnesses and let not the enmity and hatred of others make you avoid justice. Be just: that is nearer to piety, and fear Allah. Verily, Allah is Well Acquainted with what you do.” (Chapter 5 Verse 8). “O you who believe! Stand out firmly for justice, as witnesses to Allah, even though it be against yourselves, or your parents, or your kin, be he rich or poor,…” (Chapter 4 Verse 135). Islam also enjoins the Muslims to respect the law of the country in which they live so long as it does not violate the teachings of Islam. On that basis, Muslims as citizens of this country would expect the law enforcement authorities to establish law and order, prevent violence against persons and property and provide protection to the public. The requirement of taking the law into one’s hand does not arise under these circumstances. The meaning of the word ‘Islam’ is ‘Peace’. Islam teaches several moral and ethical values which guides human beings towards living in society with peace and tolerance. Muslims believe that Allah is the Most Merciful; that Allah is the Most Forgiving; That Allah is the Pardoner of sins. Therefore, a good Muslim is never revengeful, is never unforgiving or is never unpardoning. On the contrary, a Muslim goes on the premise that when Allah, the Almighty is the Most Forgiving and the Most Merciful why should not I be merciful and forgiving towards another human being. After all, according to Islam it is our belief that Allah is the Creator of all mankind which obviously includes the Sinhalese people too. There is a misconception amongst the Sinhalese racists who always alleges especially, in the social media that the Muslims act innocent and harmless when they are weak but will not hesitate to kill someone if they are in power. Therefore, the Muslims cannot be trusted. This is an utterly false statement and by this these racists are deceiving the Sinhalese people. They want to sow the seed of hatred in the minds of people and to this end would not stop at anything good or bad, right or wrong, moral or immoral. Shameless creatures, aren’t they? A distinction has to be drawn between being a coward and being an individual who practises patience. It is not an act of bravery but absolute cowardism to come in organised groups, armed with weapons and then attack innocent men, helpless women and traumatised children. Not only that, to solicit the support and complicity of the Police and the Special Task Force, to set alight closed shops, places of religious worship and houses of people who have not done any wrong to anyone. 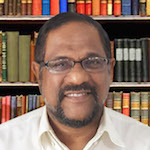 The lack of conscientiousness in these sick people is further amplified by their claim of heroism or boast as seen in Venerable Gnanasara Thero recent statement for example. On the other hand, a person practising patience should not be misunderstood as being cunning or pretentious or as being a coward. The Muslims have shown great maturity on the face of the puerile behaviour of the ‘grown up’ racists and some self-deluded racist politicians, who think that they are smarter. The Muslims would not want to exacerbate a given situation by acting on their own. These are some of the virtues and values that restrains the practising Muslims from retaliating. As peace loving and law-abiding citizens, I think the Muslims are a great asset to this island, as part of a community showcasing multi-cultural, multi religious and multi ethnic diversity in unity.